Most healthcare settings, as well as other buildings, are lit by a combination of daylight entering through windows and skylights and electric-light sources. It is important to understand how these two types of light sources differ to understand their relative impacts on human health and performance. 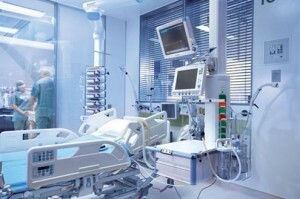 The concept of healing environments in hospitals emerged as one where the environment can make a difference in how quickly the patient recovers. Common to all these environment designs is the notion of close observation and rapid intervention. Meeting patient needs through continuous monitoring is the hallmark of all critical care. However, the close monitoring has led to patient complaints of noise, lighting with no day–night distinction, and frequent interruptions of sleep and rest. Historically, intensive care beds were often so close to each other that patients could hear everything happening to the critically ill patient in the next bed. Lack of privacy and fears related to overheard procedures and conversations in the unit created undue anxiety and the potential for physiological instability in vulnerable patients. Patients experience a positive outcome in an environment that incorporates natural light, elements of nature, soothing colors, meaningful and varied stimuli, peaceful sounds, and pleasant views. In fact, research demonstrates less pain medication is needed and a faster recovery may occur when careful attention is given to providing a soothing environment. Hospitals that combine creative design elements with an emphasis on family-focused care are the leaders in creating healing spaces for recovery. 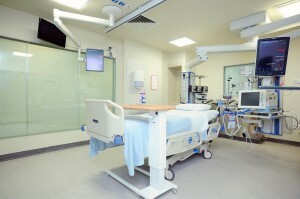 LC SmartGlass is leading the way in healthcare interiors with infection control and patient dignity being driven as key priorities throughout the NHS. Patient observation can be carried out safely and efficiently by simply switching the LC SmartGlass to its clear state reducing the risk of cross-contamination as care staff do not have to physically enter the ward to observe patient activity. 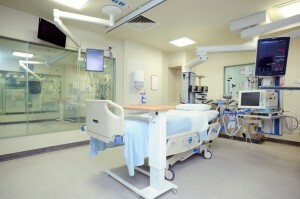 Further to this, it has been proven that sheer, easily cleaned surfaces are essential in hospitals and particularly in ICCU’s in order to reduce the risks associated with the spread of super bugs such as Clostridium difficile (CDIFF), Methicillin-Resistant Staphylococcus Aureus (MRSA) and Vancomycin-Resistant Enterococcus (VRE). LC SmartGlass provides the ideal surface to combat these deadly infections and eliminates the need for traditional blind systems which are difficult to clean and high risk in terms of harbouring dirt and bugs. The patient environment can be controlled precisely to the patients needs where privacy is available on demand whilst still allowing for 67% light transmission when switched to its “Off” state. This entry was posted in Healthcare Solutions and tagged electric glass, LC SmartGlass, privacy glass, smart glass, SmartGlass, SmartGlass International, switchable glass. Bookmark the permalink.